Dallas attorney Mark Werbner sat silently Monday in a federal courthouse in Brooklyn as a jury announced its verdict. For a decade, he had engineered a global legal battle against Jordan’s Arab Bank for its role in financing terrorist attacks by Hamas against Israel. Werbner represents the families of 100 U.S. residents who were murdered or seriously injured by suicide bombers during the Second Intifada, a Palestinian uprising between 2000 and 2004. Last Monday, he persuaded a jury to rule for the first time that a bank was legally accountable for the acts of deadly terror committed by its customers. In the weeks ahead, he plans to ask the New York court to set damages in excess of $1 billion against Arab Bank, which has more than $46 billion in assets worldwide. There are a dozen more cases pending in federal courts in which families of terror attack victims are seeking huge monetary awards from international financial institutions from Scotland to China to Saudi Arabia. The lawyers in those cases closely monitored Werbner’s trial to see how the jury handled it. Lawyers for Arab Bank say they will appeal. They say the bank, which has offices in 600 cities worldwide, followed well-established banking principles. The bank contended at trial that it didn’t know its customers were terrorists. The case, which has taken more than 10 years to get to trial, has been nothing short of a crusade for the 59-year-old Southern Methodist University law graduate. It could be on appeal for years. Werbner was born in San Antonio to a Jewish family that escaped Czarist Russia after the turn of the 20th century. But he was never overly religious. His family celebrated Jewish holidays but was otherwise secular. During the 1980s, he visited Auschwitz. He walked through the shower rooms where Jews were gassed and the rooms with the furnaces where bodies were cremated. The trip caused him to revisit his religious roots. Between 2000 and 2003, he followed media coverage of the Hamas-backed suicide bombers who killed hundreds of Israelis. A lawyer from New Jersey called him about possibly bringing a lawsuit against financial backers. The attorney needed a trial lawyer with experience in wrongful-death cases and money-laundering cases. He and his partners at Dallas-based Sayles Werbner say they will spend more than $5 million in out-of-pocket expenses before the case is over. They have invested an estimated $8 million in lawyer time since filing the lawsuit in 2004. These are extraordinary amounts for even large law firms, let alone an 11-lawyer litigation boutique. And the case is not close to being over. Werbner traveled to Israel, Jordan and other Middle Eastern countries about 70 times to meet with victims’ families, interview witnesses and collect evidence. He has examined hundreds of thousands of pages of legal and financial documents. “I knew right away that this would be the biggest case of my life,” said Werbner, who has scored more than a dozen jury verdicts of $1 million or more during his three-decade career, including one verdict exceeding $400 million. “Every case is important, but this case has global consequences,” he said. Werbner said the most important day in the litigation came in 2006, when he was taking the deposition of Arab Bank employees in Amman, Jordan. He had obtained internal bank documents that included spreadsheets. “The employees told us that the spreadsheets listed the names of the martyrs, the amount of the money the bank was to transfer to their families and the reason for the transfers, which were identified as ‘suicide operations,’” Werbner said. “That was very incriminating evidence to get from the bank’s own files. “The Rolodexes of the banks were filled with the names and accounts of terrorists,” he said. Werbner told jurors that families of so-called martyrs in the suicide bombings received the largest cash payments: $5,300. There were bad days, too. He points to multiple times when the State Department, under President George W. Bush, tried to have the lawsuit tossed out of court, contending that using the U.S. civil justice system to regulate international banking was bad public policy. The litigation has essentially consumed Werbner’s life for 10 years. It has had significant consequences for him and his family. Werbner met the victims’ families to learn as much as he could about those who were killed. He visited the scenes of the 24 terrorist attacks, including restaurants and college cafeterias in Jerusalem, a hotel in Netanya and bus stops in Tel Aviv. He studied the graphic images of the attacks’ aftermaths taken by police and photojournalists. There were dozens of pictures of decapitated bodies, severed arms and legs, and scorched torsos discovered a block from the sites of the bombings. Close friends and colleagues say the case has changed Werbner as a person, too. They say he is much more serious about life and they seldom see him laughing or joking anymore. Werbner admits the case “placed a lot of additional stress” on his family. He missed birthdays, anniversaries and school events for his children. There have been harassing phone calls, letters and emails, and death threats. His son’s 13th birthday raised issues, too. Even so, Sayles believes that the litigation has had more positive than negative effects on Werbner’s life. “Mark is a better man and a better father today than he was 10 years ago,” said Sayles. “He is much more devout in his faith. 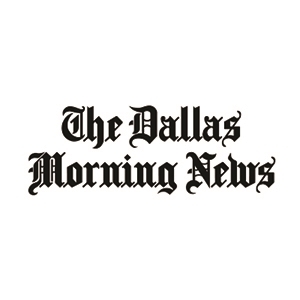 Dallas trial lawyer Tom Melsheimer said he is glad that Werbner ignored more recent teachings by law schools and bar associations that attorneys should not become emotionally involved in their clients’ cases.